Since its establishment during the height of Germany‘s piano making days, WILH. STEINBERG has still managed to maintain its indisputable status. WILH. 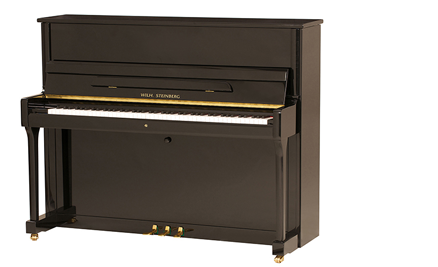 STEINBERG‘s pianos embrace classic and elegant designs and produce the most impressive musical quality, guaranteeing it a place in history as one of the most successful piano makers. Over 135 years of piano making heritage has been built on the precious passing on of experience and expertise gained by generation after generation of master craftsmen. Craftsmen, who have toiled to harmonise modern piano making techniques with traditional ones to ensure that the musical perfection and production quality of WILH. STEINBERG pianos remains an ongoing legacy.